A native of Kankakee, Illinois, James Kelly moved to Seattle in 1976 after obtaining a Bachelor’s Degree in Psychology from Western Illinois University. He then enrolled in the University of Washington’s School of Social Work where he graduated in 1980 with a Masters Degree. After working briefly for a Burien-area youth center and for the Washington State Child Protective Services, as an investigator, he worked in the Seattle City Attorney’s Office. In 1989 Kelly was appointed by Governor Booth Gardner to head the newly created Commission on African-American Affairs. In 1996, he accepted the position of Special Assistant to the Secretary of the Washington Department of Social and Health Services, and in 1998 was selected to serve as Deputy Assistant Secretary for the Economic Services Administration, a $2 billion administration with 5,000 employees. 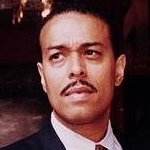 In 1999, James left the Economic Services Administration to accept his current position as President and CEO of the Urban League of Metropolitan Seattle. James Kelly also served as President and Co-founder of a citizens group called Stop the Violence. This group was responsible for a project that took nearly 2,000 guns out of circulation in five days by giving gun owners $50 vouchers. He is a board member for the Alliance for Education and was a key architect in developing the Seattle Family and Education Levy that past by an overwhelming majority of votes in 2004.